Peter Doherty & The Puta Madres release a new live video of the song ‘Kolly Kibber,’ filmed and recorded live by Roger Sargent in Berlin at Huxley’s Neue Welt on 25th February. There will also be a Limited number of 7” vinyl singles released on April 28th, featuring ‘Kolly Kibber’ (studio version) and ‘Weed Smoker’s Dream,’ an exclusive unreleased cover of the Harlem Hamfats 1936 song (recorded at Clouds Hill Festival, Hamburg December 2017). ‘Kolly Kibber’ is taken from Peter Doherty’s critically applauded new album ‘Hamburg Demonstrations,’ released last December through BMG/Clouds Hill. 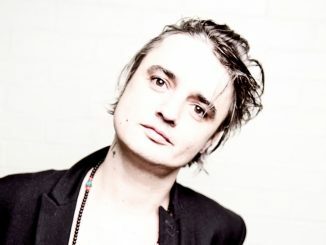 ’Kolly Kibber,’ which has been playlisted at BBC6 Music, was inspired by the newspaper man who meets a sticky end at the beginning of Graham Greene’s 1930’s noir masterpiece ‘Brighton Rock.’‘Hamburg Demonstrations’ is Peter Doherty’s second solo album, following Grace/Wastelands which came out in 2009. 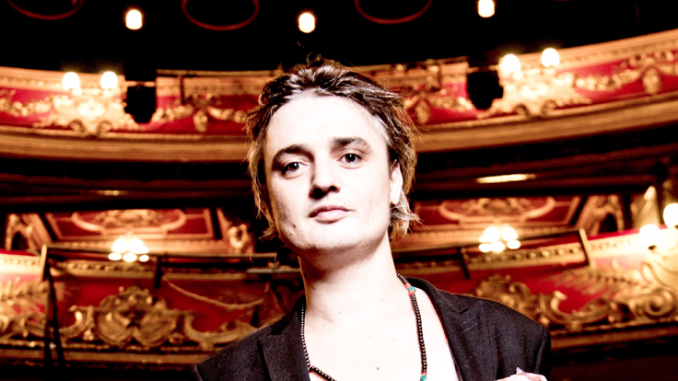 Peter Doherty and his new band the Puta Madres – Drew McConnell (Babyshambles – bass), Miki Beavis (violin), Katia DeVidas (Piano/keyboards), Jack Jones (Trampolene – lead guitar) and Rafa (drums), toured Europe at the end of 2016. The tour included a memorably moving evening at the reopening of the Bataclan in Paris and culminated in a sellout show at the O2 Forum in London. Doherty will be touring with the Libertines during the summer, with festival dates at: Wirral Live (20th May), Tramlines Festival (July 21st-23rd) and Truck Festival (21st-23rd July).